For the work of Untenu in Cambodia funds are needed. Cambodia is a poor country, so it is difficult to raise money locally. But to show the problems of our target group and keep the Cambodian LGBTI community involved with our work, we also find it important that in Cambodia – though in a modest way -money is collected too. The major part of the revenue currently consists of private donations, money collected at activities Untenu organizes around major LGBTI & HIV events and the earnings from the performances of our ambassadors Zarah Meander & Sheilla Bijoux. If you want more information about how to contribute financially, please click here for more information. Untenu was established to provide emergency assistance, training and work experience placements. How do we do that? Untenu is a Dutch volunteer organization. All our activities in Cambodia are run with and through local contacts. 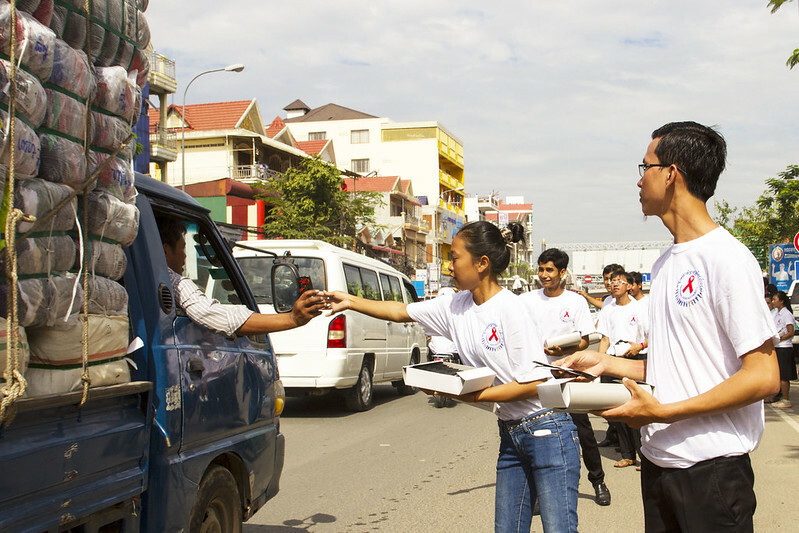 In the last years we have been working with several Cambodian organizations. In 2017 we will continue to work with Bandanh Chaktomok (BC, the National MSM & TG Network Cambodia). Emergency Aid is a one time relief. Either in the form of a one-time financial support, or in a practical sense, by means of, for example, food. Sometimes we ar co-funding a funeral. In the future Untenu wants to offer long time solutions for people who receive emergency aid. Working experience and training are important to provide a better livelihood for LGBTI’s living with HIV.